This gadget was devised for Bob Crump, a paraplegic who enjoys off-road driving. 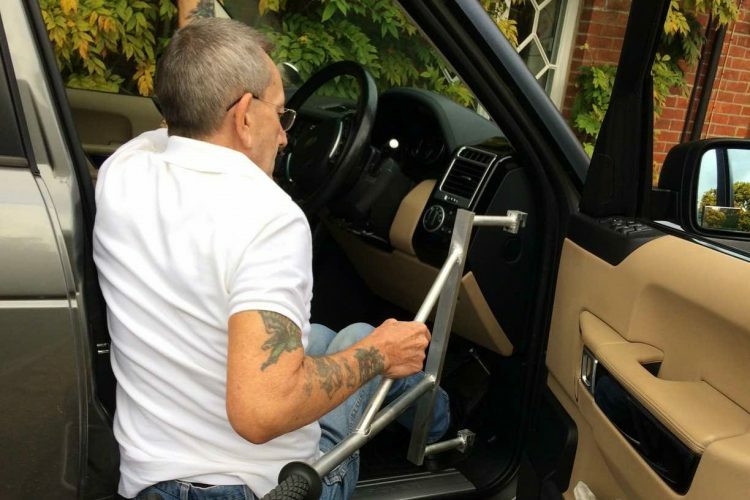 He has a hand-controlled Range Rover but was experiencing great difficulty in moving from his wheelchair to the car unassisted, due to declining upper body strength. 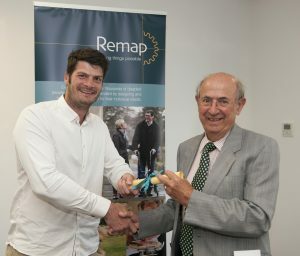 Remap volunteer David Tappin solved the challenge by making a simple lightweight frame which clips onto the vehicle’s door hinges to provide a stable handle. This enables Bob to use both hands and arms to lift himself from his wheelchair to the driving seat. 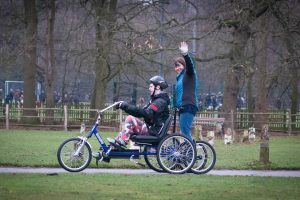 “The handle David Tappin made allowed me to not only continue my off-road driving but also enabled me to get out much more for general day to day activities, which I had started to avoid, therefore improving my quality of life. 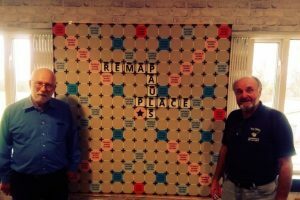 I can’t put into words how grateful I am to Remap and especially Mr Tappin who generously gave so much of his time and expertise”. 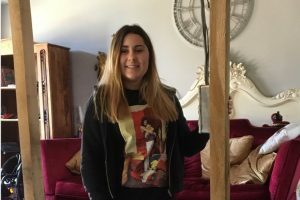 hi, we are trying to source a similar wheelchair lift handle assist. we have the fold down seat to ease access in and out of the car from the wheelchair, but just need a ‘helping hand’ in the form of some type of metal rail fromthe door intowards the car to lean on to assist getting out back into the wheelchair?